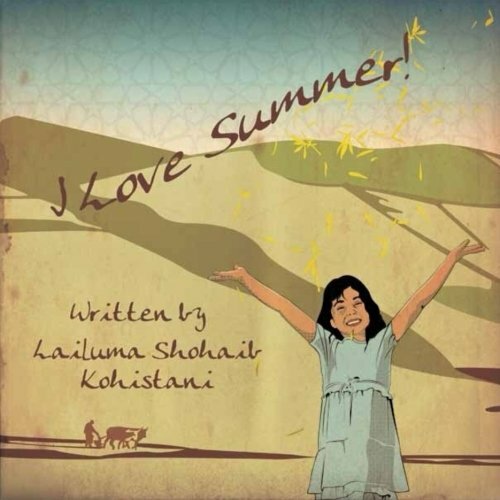 Lailuma Shohaib Kohistani I Love Summer! I Love Summer, the recollection of fine childhood memories growing up in Afghanistan, connects with people around the world. Running in her grandpa’s vineyard with cousins and gathering with extended family for bonfire ghost stories lit the summers of her youth. Her love shines through on every page. The author has previously published "Bubu Jaan Soup." Lailuma Shohaib Kohistani was born in Kabul, Afghanistan. She was a medical doctor there, though her passion since childhood was writing, including poetry. Married for twenty-five years, she immigrated to the United States sixteen years ago. She and her husband have two children who are presently in college. This book is dedicated to the memory of her grandpas, grandmas, her father and uncles, who are no longer with us.